The Dow College Opportunity Program (Dow COP) serves to enrich students' lives while preparing them to reach their full potential. Through mentoring and a variety of activities, students are not only equipped to handle the transition to college, but they learn to be productive, socially responsible citizens. 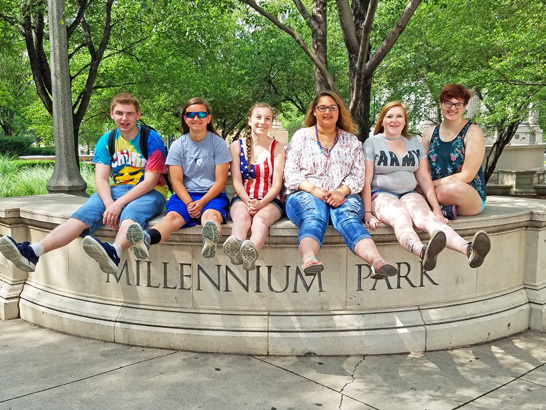 Beginning in their freshman year of high school and continuing through college graduation, students gain a variety of experiences that allow them to get the most out of their journey. Dow COP activities include academic support, travel, cultural exposure, volunteering and social development. Each high school class experiences a week long trip each summer to help solidify the lessons that they learn throughout the school year. Student trips include Adventure and Personal Growth, College Tours and New Horizons Exploration. Program director Mike Sobolewski works with students one-on-one and in groups to help them get the most out of each activity and to help students grow into the best person that they can be! Students in 8th grade and the first semester of their freshman year of high school are encouraged to contact Mike Sobolewski at 989-832-3256 or email Mike at sobolewskim@wmfc.org.